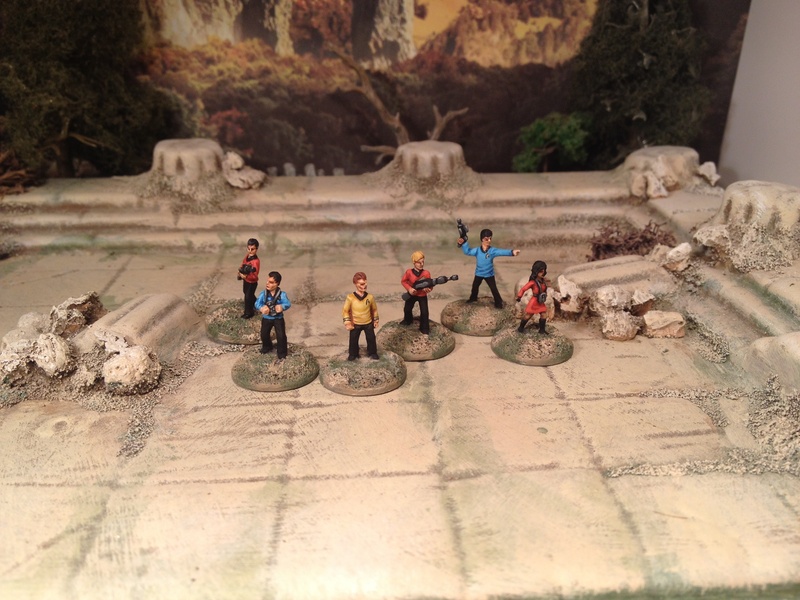 15mm Star Trek Away Team: Happy 50th Anniversary! 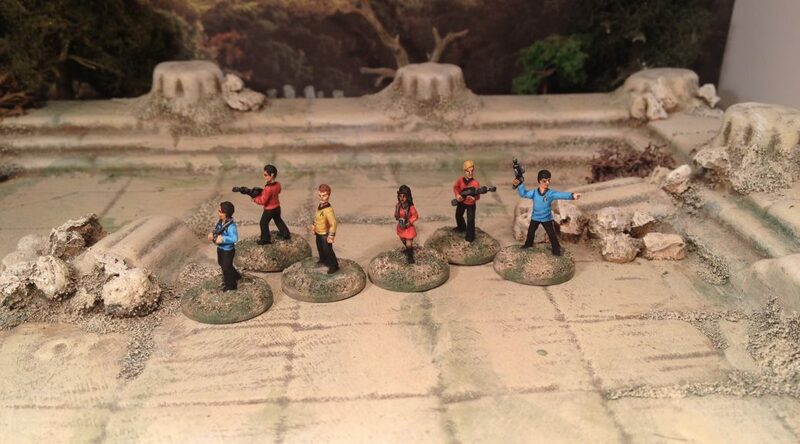 That aside, these “Space Explorers” were available from a small US business called AstroMiniatures which I believe have since stopped trading (boo!). No doubt some cease and desist order played a part in that. I’ve a few Klingon-types and Romulan-types still to paint and these are about half of the Federation-types I bought as I traded a handful with a fellow gamer sometime back. I’m glad I did paint them up as they look better painted than in lead and I may never have bothered to put a brush on them had it not been for the anniversary. 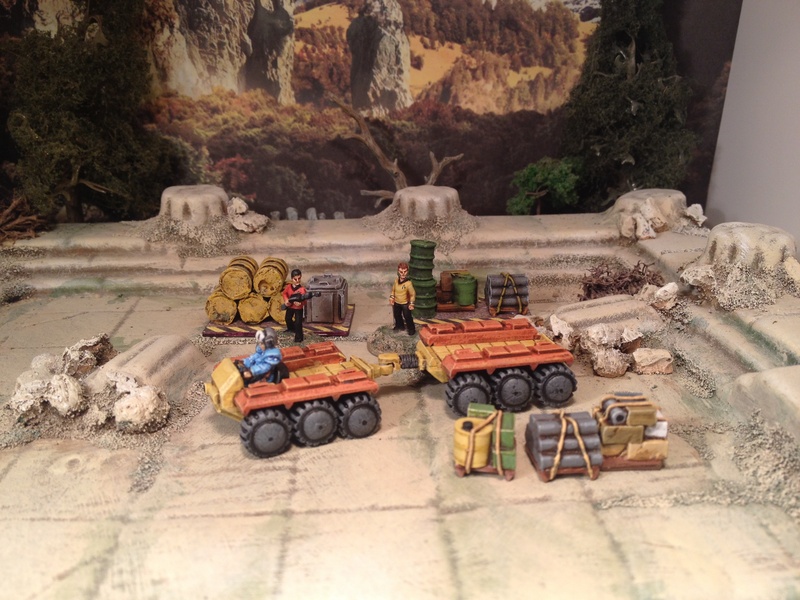 At the same time I painted up the little u-haul six wheeler and trailer from GZG. Nice. Also pictures is a grav sled-thing from 15mm.co.uk that was kicking around and seemed to fit for photo purposes.